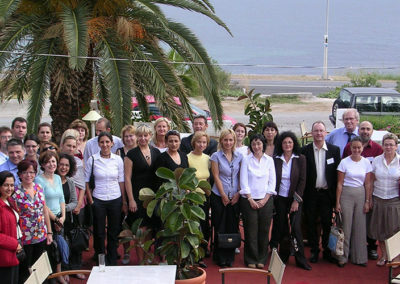 On the 2nd and 3rd of October, Greece hosted the 2nd MCM with the aim of continuing the mutual learning process among partners through sharing updated information on their Operational Programmes, National Action Plans as well as recent developments on Roma-related issues at national and European level. In this occasion the Working Groups on Employment, Education and Social inclusion held their First Session based on the exchange of information regarding concrete projects related to Roma and Structural Funds, best practices, as well as future actions. There was a round of interventions of Network members to present their updates regarding Structural Funds and Roma-related issues, and some countries shared their recent developments of the last months. Among other news, Czech Republic presented a new publication on “Success stories of the ESF projects in the Czech Republic focused on support and integration of Roma community” (Czech version with a summary in English available at this link. Network members were asked to present briefly their respective National Action Plans for Social Inclusion (NAPincl) 2008-2010, and how they approach the Roma inclusion. Greece, Bulgaria, Czech Republic, Sweden, Slovakia, Italy and Spain presented briefly their Plans. Given the relevance of the NAPincl to guide national policies and measures regarding the Roma, and the need for greater synergy between European and national instruments, Network members agreed on gaining more insight on their respective NAPincl and to work further on it. Network members were informed by European Commission (EC) representatives about new developments within the EC and, among other issues, they received comprehensive information about the recent EU Roma Summit held in Brussels, 16 September, as well as of the Staff Working Document published in June, “Community Instruments and Policies for Roma Inclusion” (available at www.euromanet.eu). As part of the contents of the MCM, Mr Gerhard Welbers presented to Network members the first draft of the study: “Increasing the participation of ethnic minorities and migrants in employment. Good practice and strategic lessons from EQUAL”. As host country, Greece presented an overview of its policies addressed to the Roma community. Ms Eleni Kallinikou (Ministry of Interior) made a first presentation of the “Integrated Action Plan for the Social Integration of Roma”. A second presentation focused on the evaluation ordered by the Greek Government to analyze the results of this Integrated Action Plan (2001-2006) and draw some lessons and proposals for the future long-term strategy for the social inclusion of the Roma (until 2013). 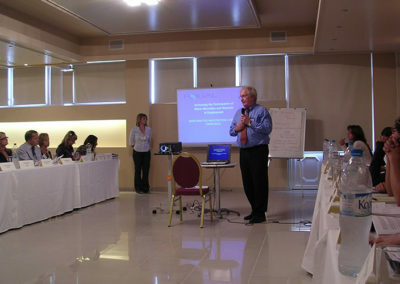 The evaluation was presented by an external expert (Mr Xrisostomos Kalogirou, NGO “Oikokoinonia”). And finally, Ms Katerina Giantsiou (ESF Coordination and Monitoring Unit) presented the project of “Socio-medical centres”. 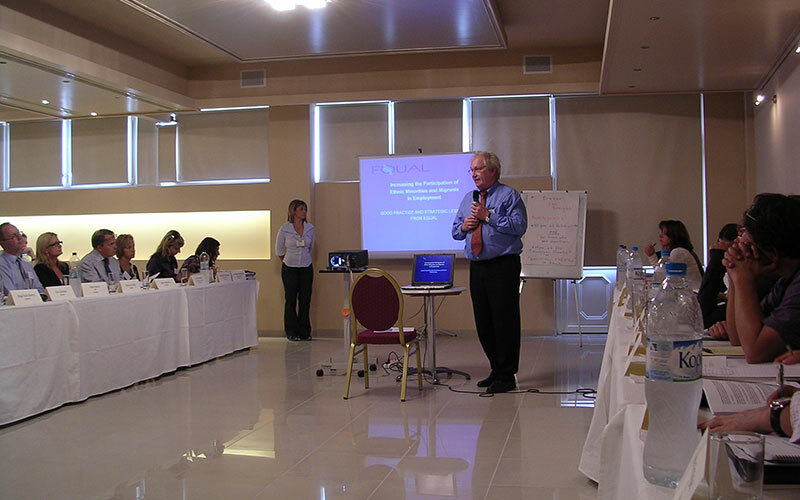 Next Management Committee meeting will take place in Budapest (Hungary) in April 2009. Within the overwhelming objective of Mutual Learning and recognising the existence of good experiences in EU countries as well as the opportunity of taking advantage of them, Network members decided to work on the basis of good experiences and best practices. Network members had previously agreed on main criteria for the selection of best practices and each country presented some experience to be commonly discussed and analysed by partners. Further activities (study visits, seminars, training and awareness-raising actions, etc.) will be organised on the basis of the selected best practices. Participants discussed for long on the 5 experiences proposed by members. There were proposals from Sweden, Czech Republic, Slovakia, Spain and Italy. The debate focused on criteria such as the effectiveness and impact of the projects, their transferability to other contexts and countries, the sustainability of the projects, and their empowerment capacity. After in-depth debate, participants selected the experience proposed by Spain, the Acceder Programme, to be analysed more in detail. 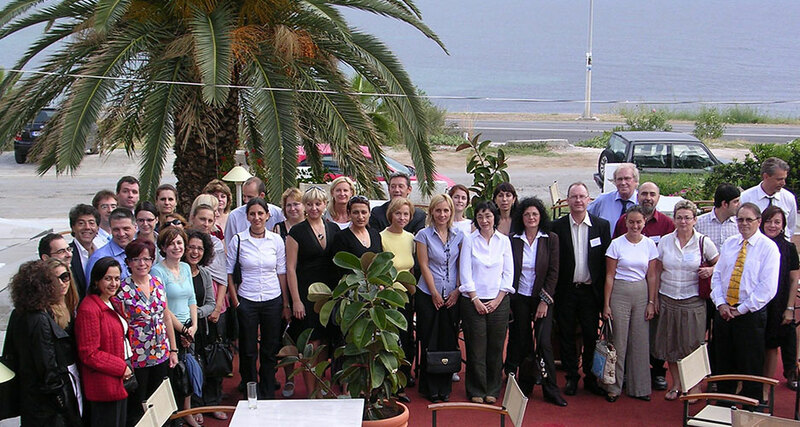 It was agreed to organise a study visit to Spain at the end of February 2009. Following the peer review method, there will be a previous report on the topic analysing the context of the project, main objectives, actions and results, as well as the keys for success and the limits faced. The WG will present this report together with the conclusions of the study visit to the next Management Committee meeting. Participants presented two projects, from Spain and Slovakia. There was a lively debate on issues such as how to address the early drop out of Roma children or how to promote inclusive educational systems rather than segregated ones. Each participant explained the approach and strategies used in their respective countries. Participants agreed to work further on successful projects. There were two projects presented by Spain and Greece. The discussion turned to issues such as which are the projects´ coordination and monitoring structures in the different countries, how each of them solve the problem of lack of synergy and coordination of actions, how to create partnership and how to involve Roma organisations in the projects and provide capacity building, how to engage local and regional authorities in the social inclusion of Roma. Participants agreed to prepare for next meeting (April 2009) a map of what are the procedures and mechanisms used in each country for the coordination and monitoring of projects. Next WG actions will focus on the role of municipalities and NGOs as well as on administrative capacity.